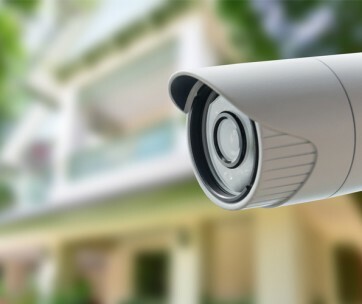 You may have the most advanced security system in your house. But once you travel and stay at an unfamiliar accommodation, you’d definitely wish you had the DoorJammer securing your very door. This is a portable contraption that can be easily stowed into your bag so you can secure any door wherever you may decide to stay for the night. 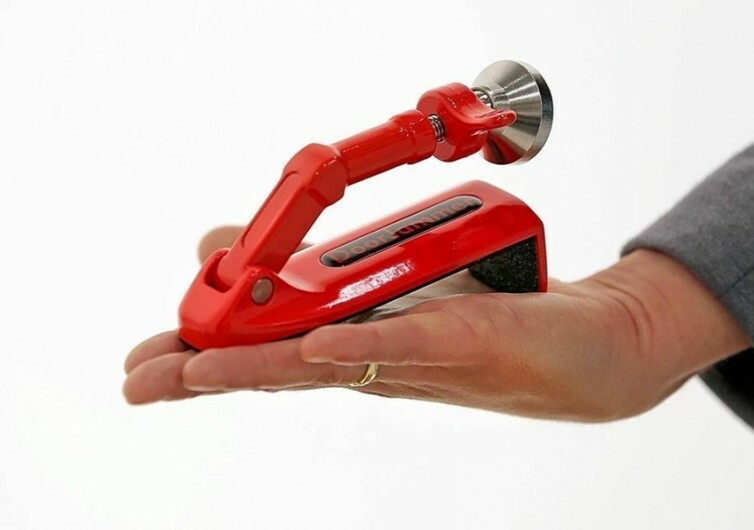 Measuring a mere 2.75 inches wide and 4.75 inches long, the 8-oz DoorJammer is a very simple device that comes with a fully adjustable neoprene extension foot that can be easily slipped under the door. 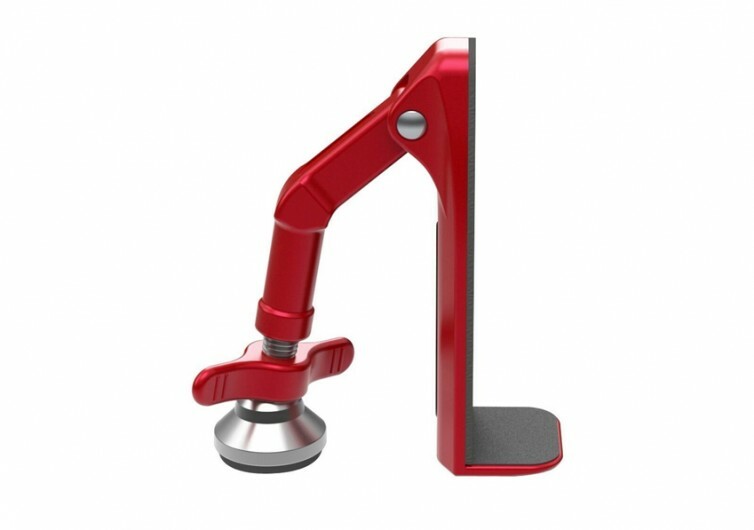 The extension is attached to an arm that is, in turn, connected to a sturdy base. As long as there is about a third of an inch vertical clearance under the door, the DoorJammer should work perfectly. Because of its simple design, the DoorJammer can easily secure any door be it in a hotel room, your dorm room, or even your very own office. 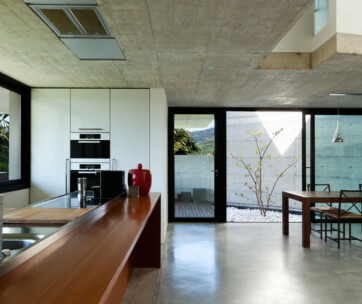 It works on any floor surface be it carpeted, laminated, or even tiled. It’s one of those innovations that are often overlooked because of its simple design. 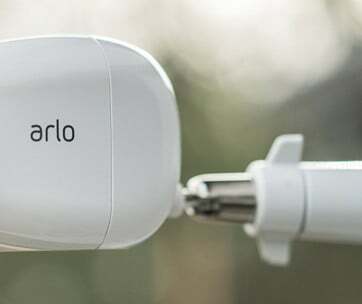 Almost everyone also has this notion that only smart security technologies can provide them the peace of mind they need. Unfortunately, these technologies are either too cumbersome to set up or they’re way too expensive to bring from place to place. 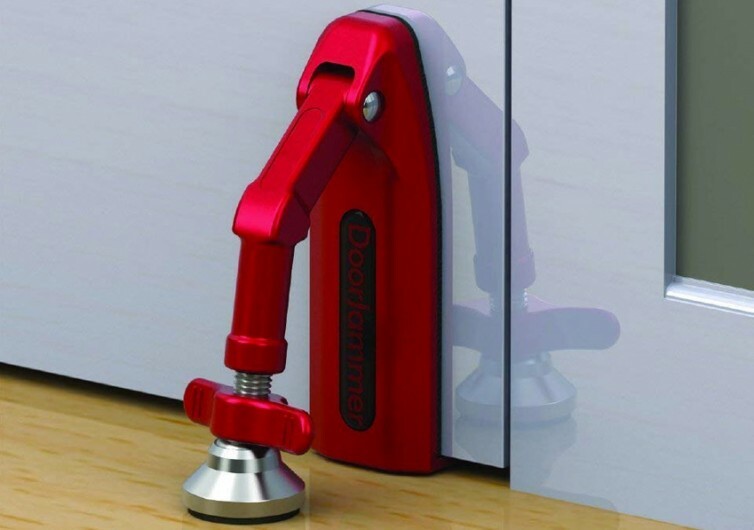 The DoorJammer solves such issues with a very simple solution. By putting an obstacle underneath the door, would-be intruders will have a much more difficult time gaining entry to your room. Of course, it’s not an absolute guarantee that the system will prevent these unscrupulous elements from thinking of other ways to gain access to your private space, but it sure can provide you with that sense of peace every time you tuck into your bed for some good night’s sleep. 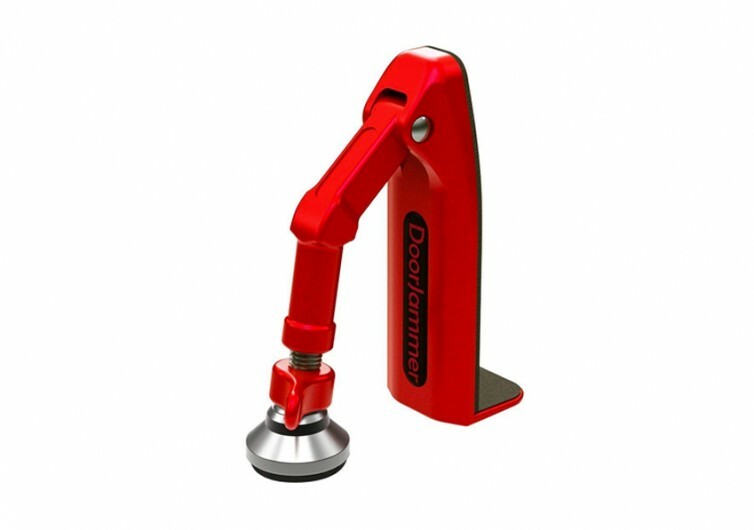 Securing your room shouldn’t really be difficult with the DoorJammer around. It’s TSA-compliant so you can easily bring it in your travels, adding security to your hotel room door. You’ll feel a lot safer and sleep a lot sounder knowing that the DoorJammer has your door secured.